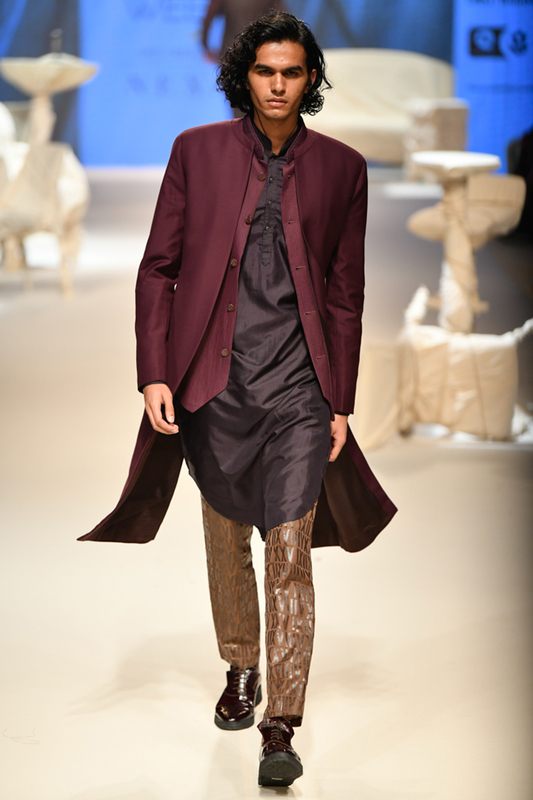 Purple and mushroom hued sherwani ensemble designed by Kunal Rawal at AASHNI+CO. Kunal Rawal gives a refreshing spin to this sherwani ensemble layering it over a pintucked koti and silk kurta complemented with a pair of pants. Accessorize the look with a pair of burgundy brogues to finish the look.